Under the wing of experienced guide Tolly Sanford, "Reb" begins to learn the complexities of the cave and the two are joined by an aspiring young cartographer, Devlin Bale. The university student has traveled to the hill country to map tunnels—not to fall for a girl in disguise. Can the God who designed miles of underground astonishment shape Devlin’s ambitious plans and free Reb from the weight from the past? Buy the book HERE. Kim Vogel Sawyer is the highly acclaimed, best-selling author of gentle stories of hope such as When Love Returnsand Room for Hope. 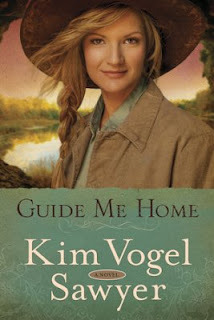 With more than one million books in print, Kim has garnered numerous awards including the ACFW (American Christian Fiction Writers) Carol Award, the Inspirational Readers Choice Award, and the Gayle Wilson Award of Excellence. She lives in central Kansas with her retired military husband Don. 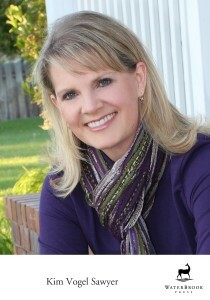 She enjoys travel, quilting, and spending time with her daughters and their families. Learn more about Kim and her writing HERE.